If I had Silly Fun Awards to grant, I'd probably give the first to Monty Python's Flying Circus and then bestow one on Gary Larson for his The Far Side comics. 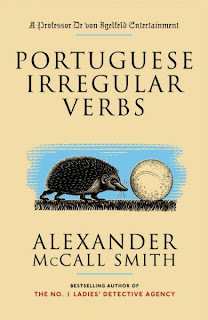 Then I'd give one to author Alexander McCall Smith for Portuguese Irregular Verbs series. I just listened again to Portuguese Irregular Verbs, the first book in the series in which readers follow the ridiculous life of philologist Professor Doctor Moritz-Maria von Igelfeld. He is occasionally called Maria. 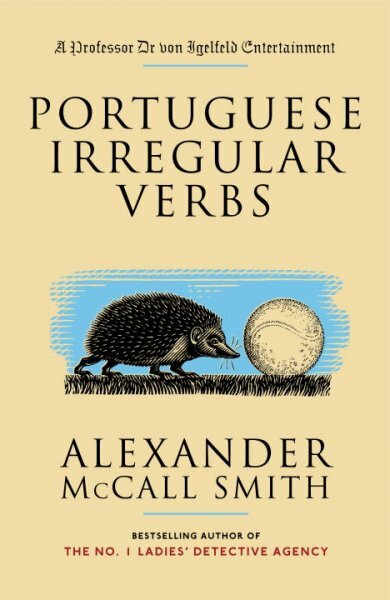 The learned professor is famous for his 1,200 page text titled, of course, Portuguese Irregular Verbs, of which nearly 200 copies have been sold in a decade. At one point in the story, he discovers that only two copies have sold in the previous year, and he worries so much about whether a colleague bought a copy, he schemes to get in the fellow's apartment to check his bookshelves. Book sales aside, he is famous enough in the world of philology to receive constant requests that he speak at conferences. At each, like all of the other philologists, he repeats the same lecture. He is greatly excited when a new member of the brotherhood presents a new topic. My favorite story is about the professor falling in love with his dentist who so skillfully and quickly relieves his toothache. Can you guess what he gives her as a thank you? If you can, you may also foresee the result of his courtship. In another chapter he recalls a trip to rural Ireland as assistant to a professor studying old Irish vulgarities. The moral of this story is be careful where you leave your transcriptions. 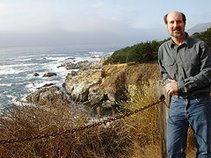 Portuguese Irregular Verbs is wonderful in print or audio, as read skillfully by Paul Hecht. It is followed by The Finer Points of Sausage Dogs and At the Villa of Reduced Circumstances. McCall Smith, Alexander. Portuguese Irregular Verbs. Anchor Books, 2005. 128p. ISBN 1400077087. 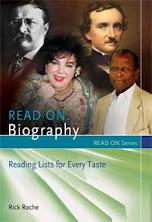 I hope you enjoy McCall Smith's funny book, Maria.